The Site Explorer is by far the most popular tool used on Majestic. 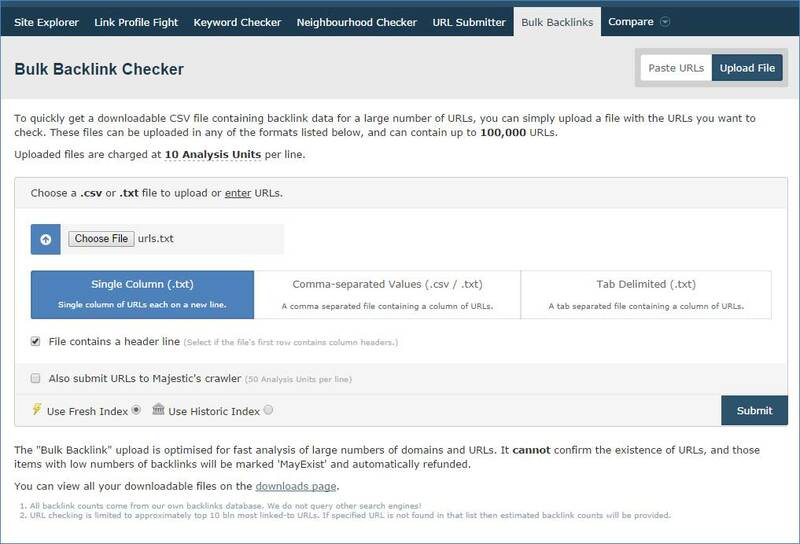 That is closely followed by our Bulk Backlink Checker, a way to speed up analysing multiple links at once. Due to the popularity of the tool we decided it was high time for a little make over. With the new Topic chart we have added, it has never been so easy to understand how we use the distribution of a sites topics to classify it. Easy to understand and clearly presented, you can now pin point the site (or URL) which is the strongest voice within your target industry. If you need to see the statistics instead, just use the option in the top right corner and change the view to ‘Backlink Statistics’ to see total link counts, EDU/GOV links etc. 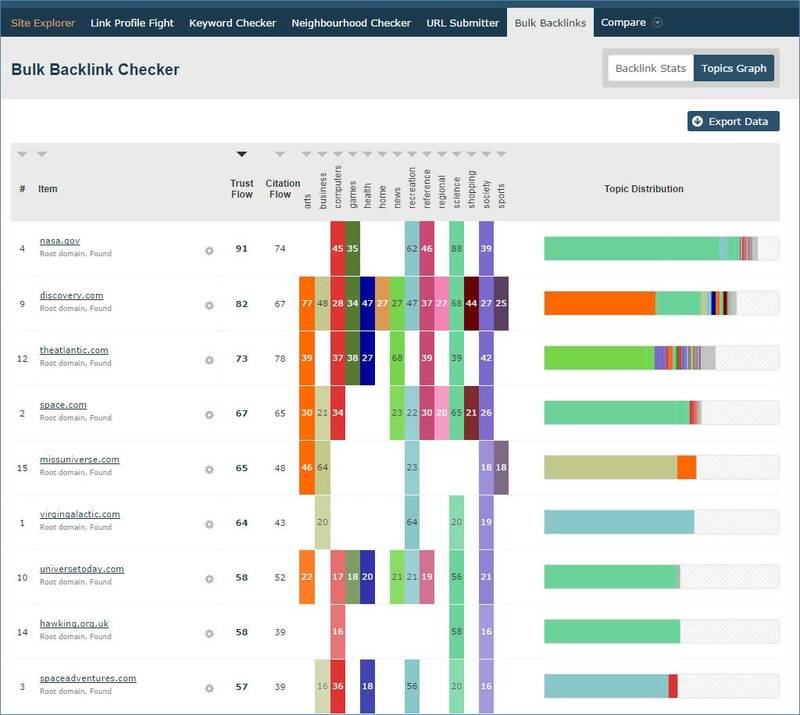 What can I use the Bulk Backlink Checker tool for? Firstly we decided to increase the amount of links that can be added, it is now set at 400 URLs across all subscriptions. You can also import a list from your Bucket as well as submit URLs to our crawler. As an added surprise, we have also increased your Bucket space to 400 URLs! As a power user, I am extremely disappointed with the update. Charging 200 credits for the same exact thing is ridiculous! I will be moving my account due to this, because it is extremely useful feature that you have completely ruined. Yes, I go through a lot of credits, but it’s all paid for – using the quick bulk check is avery useful function for me. Hi Michael. No user with the email address you supplied in your comment exists in our system. How many Urls can you check on your subscription at 200 credits per time? Please also consider the upload method. This is really nice template . Thanks for sharing it . Great tool for quickly checking stats of expired domains, just remember to use multiple variations of the domains (www, http, none, etc) or you’ll miss out on a few golden nuggets. Actually – a word of warning here. I agree that url vs subdomain vs root domain can uncover different data, but be careful never to compare (say) a URL trust Flow with a Root Domain Trust Flow. Trust flow (and CF) is calculated relative to the scope/level that it is search on. So a URL’s TF is compared to all the other URLs in the known universe, whilst a root domain is compared with all the other root domains in the known universe. Congratulations for the great work. Your tool and articles are amazing! We have been using Majestic for last 5 year, My team members are so disappointed with the recent 200 credit charges. what the heck are you guys trying achieve? more revenue or kick out loyal customers? Not sure if i am doing something wrong but when I export the results I have sorted on basis of TopicalTrustFlow business ranking them from high to low and then press export all the data is not exported in the same format ie. ranking from high to low. Doesn’t make sense to me you may want to include this feature. Majestic crawls my sites excessively. While I appreciate the attention, Majestic is using too much bandwidth. How can I get you to scale back without stopping completely? Crawl-Delay should be an integer number and it signifies number of seconds of wait between requests. i cant see me coming back to you after these posts and unsatisfactory replies. I stopped because you were over priced, saw this update, and I feel more justified in my decision to have pulled out. Im sorry, but you can do better than this. It lacks, it lacks…well its just not bloody dynamic is it. This looks like some really helpful changes to your software. Looking forward to using it ;). This is just brilliant!!! 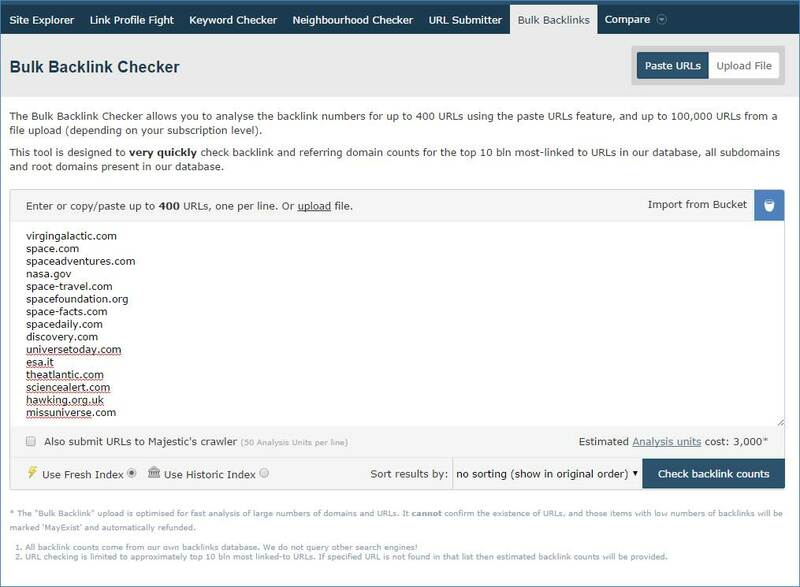 Thank you for the extra bonus for bulk backlink checker! I ‘m want to check backlinks to this page [LINK REMOVED] to be able to develop SEO campaign . Ad can not help me finish it ? Please set up a support ticket for this. Looks to me like someone is trying to spam. We look to block the spam, but not the legitimate comments. We usually won’t let links through though. Unbelievable. I’ve used up almost all of my 5,000,000 analysis points in the last week, my subscription is now useless for the next 3 weeks which will severely disrupt my business. Quite simply, I can’t continue to use your services under these conditions so I’m looking for viable options elsewhere. i wrote a fair comment and you deleted it. No – the comment is there – but I have been on holiday. Hi all – especially David and Martin in the Comments. Sorry for the delay in replying. I have been up a mountain in Wales with the kids and I am guessing nobody else wanted to tackle the harder comments! You do not need to expend 200 analysis units per URL. 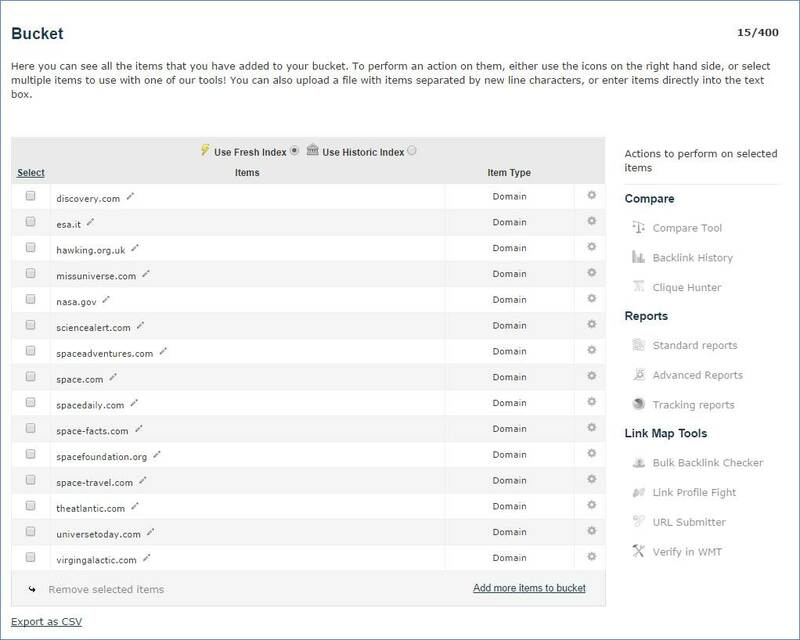 If you use the file upload method, instead of the cut and paste method, you only extend 10 analysis units per url, making your account go 20 times further! The cut and paste method is an "instant on demand" method, which is highly server intensive, whilst the upload method let’s us take a few more seconds on the analysis and run it in the background. You can also get up to 100,000 URLS analyzed at one time instead of 400 in this method, so it is much more scale-able. In regards to the pricing, the fact is that we have the lowest cost of entry of any of the major link tools and we aim to provide more data and link insight for the money. We also do not charge units for using Site Explorer. To keep ourselves as the lowest cost but with the largest data allowances, we do need to make sure that the data usage is properly managed. We will continue to look at the stats after implementing this change as to what types of users are being materially affected, but we would rather not raise pricing to those of our competition as we do like having the strongest data at the lowest price for most users. thank you for your reply, and I hope you had a good time on holiday. With respect, price is only an issue when quality is in question. Thanks David. I would agree. I believe that Majestic’s Flow Metrics are the strongest on the market. I have seen a couple of third party research documents that support that view recently. Our objective here is to have the best metrics AND the lowest cost of entry. Which I think we currently have. @Dixon Jones: http://www.searchenginepromotionhelp.com/m/robots-text-tester/robots-checker.php says that your proposed solution is not valid. Suggestions for a VALID solution? Try 20 instead of 65.